30 years from now, the world’s current energy production will now derive from renewable energy, in which major advances in renewable energy production will be formed. According to a report from Bloomberg New Energy Finance, renewable energy is seen to provide almost 50% of the world’s energy by 2050, as this is a result of huge strides in our current use of battery technology. As such, power storage is considered as one of the main obstructions of the extensive implementation of renewable energy sources such as solar and wind. At this point, the organization has been studying and analyzing the world’s energy production in long-term and considered this breakthrough as a major contribution to the world’s continuous advancement and modernization. In addition to this, the report also suggests that there will be an expected price drop by 71% of the development of solar photovoltaic plant, as well as the cost of installing a utility-scale wind power plant dropping at 58% in the next 30 years. While there is continuous progression in the world’s renewable energy, there is also a setback in regards to the energy we are currently using. Once a leading source of energy, coal is now expected to be a failure in this battle for energy dominance. It is possible that coal will provide only 11% of the world’s power needs by 2050, a huge downfall to its current provision of 38%. Despite the efforts of President Donald Trump in empowering the use of coal, there have already been almost 40% of US coal plants that have already been shut down or is marked for closure. Further reports have been integrated regarding the world’s energy. Including these is a recent report from the investment bank Lazard, which showed that there is also a major price drop of the production of one megawatt-hour of electricity of around $50 for solar power in 2017. It is considered a standard way to measure electricity production, by which when one megawatt-hour of electricity is produced from coal, it costs $102—more than double the cost of solar. 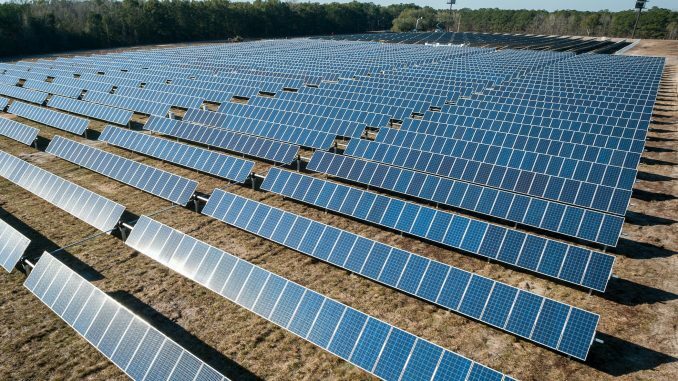 Another report from the Solar Energy Industries Association specified that solar has provided 55% of all US electricity added, which is greatly progressive than any other type of electricity. As a result of this progression, batteries are getting inexpensive and more efficient in storing energy from renewable sources, even if they are basically intermittent than the use of coal or gas. On the other hand, the cost of lithium-ion batteries has dropped at almost 80% since 2010, which is the standard battery commonly used in electric vehicles. According to Bloomberg NEF, it will continue to drop as more companies develop electric vehicles because of the continuous advancement on the use of batteries. This remarkable breakthrough, as per Bloomberg NEF, is expected to invest $11.5 trillion on renewable energy market in 30 years starting today. $8.4 trillion of this investment is expected to go to wind and solar, while a further $1.5 trillion will go to carbon-neutral power sources such as nuclear and hydro.